Don’t let all those full heads of hair in Hollywood fool you: most of us end up with hair loss. In fact, 85% of men have thinning hair by age 50 and it happens to nearly half of women by age 40. That doesn’t mean you have to sit by and let the process take its course, though. While genetics are a major factor, many people’s hair loss comes from a combination of issues. This means there are plenty of possible options for stopping hair loss. Want to keep your beautiful locks? Try these tips for hunting down the cause of your hair loss and fighting back. Too many of us assume that unless we’re cutting calories, we’re getting all the nutrients our bodies need. The truth is that the processed foods and takeout that’s common in American diets don’t always treat our bodies well. If you’re not getting enough of certain nutrients, this can contribute to hair loss. The most common issues are deficiencies in protein, vitamin C, vitamin A, vitamin E, vitamin D, iron, biotin, and zinc. There are two ways to know if your diet isn’t cutting it. You can start tracking your nutrients and seeing if your hair loss improves. For a more direct route, you can visit your doctor for a blood test to check for deficiencies. Don’t ignore modern medicine when it comes to protecting your hairline. Simple topical treatments can make your hair follicles healthier to keep hair loss at bay. In some cases, they can even help your hair grow. 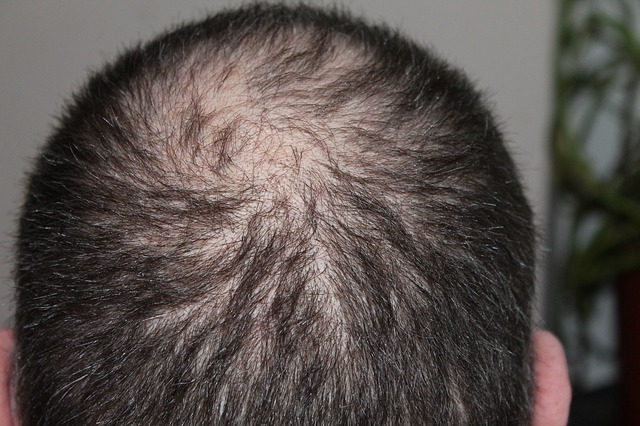 There are two primary medications: minoxidil and finasteride. Both of these medications can help men and women. Even for people who have had hair transplants, these preventative medicines can help them maintain their results. Your thyroid gland is a powerhouse for controlling your hormones. The problem is that when it isn’t functioning at its best, it can cause a major hormonal imbalance. One of the many problems that imbalance can create is thinning hair. In fact, you can lose hair if your thyroid is overactive or if it’s underactive. Your doctor can run a blood test to check your thyroid activity. It’s a good idea to make this test part of your medical routine. It’s especially vital if you have hair loss and other symptoms of thyroid problems like sluggishness, weight gain, weight loss, or anxiousness. Here’s the good news: if your thyroid is imbalanced, you can often treat the problem with simple medication. We hate to be the bearers of bad news, but all the work you do to make your hair look great could be hurting more than helping. Certain hairstyles put excess pressure on the hair follicles. Tight hairstyles are particularly risky, like tight ponytails and braids. This type of hair loss is called traction alopecia. There’s a common myth that using too much heat while styling your hair will cause hair loss. In reality, heat hurts your hair shafts, not your hair follicles. It’s your follicles that control hair loss. However, damaging your hair with heat can make thinning hair look worse because it causes breakage in your remaining hair. Medical advancement is a beautiful thing, especially for people with hair loss. There are more and more non-surgical procedures that can make your hair follicles healthier and more productive. As this article explains, platelet-rich plasma is a popular choice. There are also laser treatments that stimulate hair growth. Treatments like these don’t require any recovery time so they’re easy to fit into your schedule. Excessive stress activates a variety of processes in your body. It throws your hormones all out of whack. As we mentioned earlier when we discussed the thyroid gland, your hormones have major control over your hair loss. The problem compounds even more if you’re one of the many people who seek comfort in junk food when you’re stressed. That poor diet can lead to nutrition deficiencies which make hair loss even worse. While there are many hormones in your body that play a role in hair health, certain ones have a larger impact. When women have low estrogen or men have low testosterone, this can trigger hair loss. This is why hair loss tends to happen or accelerate as we get older: because those hormones decrease with age. In particular, women see an extreme dropoff in estrogen when they hit menopause. If you’re nearing menopause, this could be why your hair is thinning. As with many other causes of hair loss, there are medications that can help with these hormonal issues. Changing your hair can be a great way to feel confident in your refreshed appearance. It could be changing your look in another way, though, by contributing to hair loss. Chemical relaxants, harsh bleaches, and certain hair dyes can scar your follicles. That scarring makes it harder and harder for your follicles to produce hair, and it can eventually make your hair thinner. Go for natural remedies instead. If you’re prone to hair loss, talk to your hair stylist about this before your next big change and ask for the safest option. Think about all the time and effort you’ve put into your hair over the years. All the shampooing, conditioning, dyeing, styling, combing, and more. Why not invest time in keeping it as thick and healthy as possible too? Keep in mind that there’s no magic wand for stopping hair loss. Genetics have a major impact on your hairline, but the tips above can help keep your other risk factors to a minimum. For more ways to make your health and your appearance the best they can be, check out more articles on our health and wellness blog.